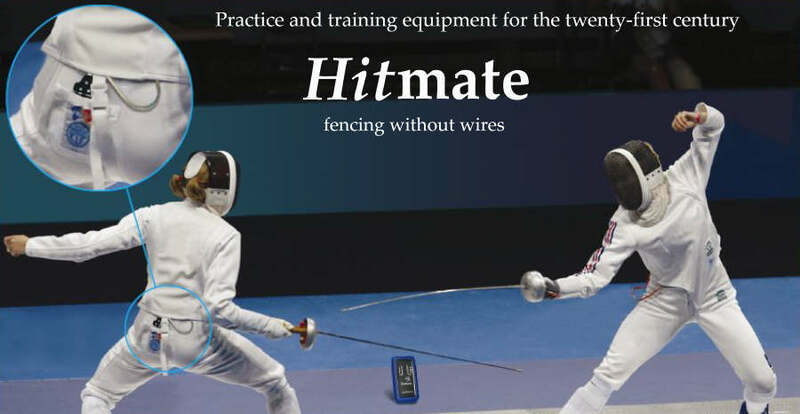 This instrument provides a simple, accurate way to measure the properties of electric Épée, foil and the wiring associated with electric scoring systems. FIE rules require that contact resistance does not exceed 2 ohms in electric weapons, and that the resistance of spools wires is no greater than 3 ohms. Simple test boxes only indicate open/closed circuits using a LED or buzzer, and measurement to this accuracy is beyond the range of most multi-meters. 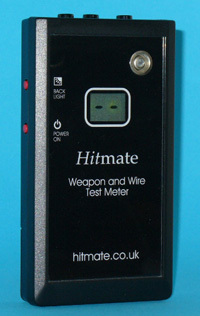 The Hitmate Test Meter measures resistance with a precision to a tenth of an ohm, and quickly establishes whether weapons and equipment are up to competition standard. The Test Meter has a standard 3-pin socket, which accepts a body wire or floor wire. If connections are intermittent, the Test Meter gives an audible warning. A rubber cover is available to protect the meter from falls and knocks. We offer a certificated re-calibration service to ensure your instrument is consistently accurate. HitmateTest Meter: Available NOW !